Slaughter LAW is a plaintiff’s litigation law firm dedicated to representing individuals who have been harmed by others or who have been injured in the workplace. With our fierce and absolute dedication to our profession, we have been able to achieve extraordinary results for our clients. Slaughter LAW brings together a team of talented individuals who share a commitment to serving clients with the highest level of personal attention and support. 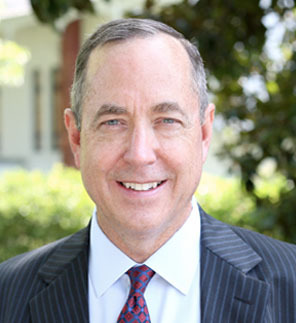 M. Troy Slaughter has been in private practice since 1993, representing hundreds of clients in personal injury actions and workers’ compensation claims. M. Troy Slaughter is the president of Slaughter LAW, PLLC and has been practicing law for more than 20 years. He is a former officer in the U.S. Navy, and worked for the Office of Naval Intelligence for seven years while on active duty and in the reserves. He earned a bachelor’s degree in international studies from UNC Chapel Hill in 1987 and a doctorate in jurisprudence from the University of Tennessee in 1993. After graduating from law school, Slaughter entered into a private practice in Wilmington, North Carolina, representing clients in state and federal courts. He has extensive experience in personal injury litigation, wrongful death litigation, workers’ compensation, investment fraud, and tort litigation. 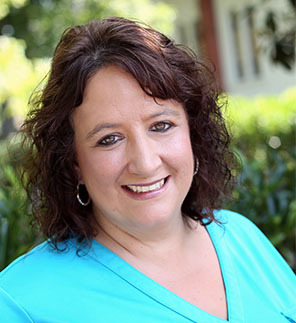 Angie Deaver is the senior paralegal for Slaughter LAW, PLLC and a native of Whiteville, North Carolina. She brings more than 17 years of legal experience to our team, including five years in a general practice environment where she gained extensive experience in criminal law, real estate law and personal injury law. For the past 12 years she has worked exclusively in the areas of personal injury and workers’ compensation. She is the lead litigation paralegal for the firm’s personal injury cases and workers’ compensation cases. We are selective in the cases we pursue and are fully prepared to litigate our clients’ cases when necessary. We help employees who have been injured on the job and are unable to work to pursue the remedies available to them under the Workers’ Compensation Act. Our team is experienced in helping clients recover money and other assets lost as a result of financial fraud and other deceptive practices. By Focusing on a few select areas of law, we have been able to achieve notable results for our clients. A horrific crash that claimed the life of a 29-year-old pregnant woman nearly four years ago resulted in a complex wrongful death suit against several defendants who agreed last month to settle the case for more than $800,000. Disclaimer: The cases mentioned above are illustrative of the matters handled by the firm. Results depend upon a variety of factors unique to each case and not all results are provided. These prior results do not guarantee a similar outcome. We welcome your message, and look forward to scheduling your free consultation.